Harvey and Joann Hollingsworth are the owners of The Natural Light whom I have known for a very long time and have witnessed their growth due to their years and years of dedicated hard work. They truly now have moved “uptown” at High Point Market to the beautiful and impressive Steel Building with a greater market presence to show off their vast line of art and lamps. 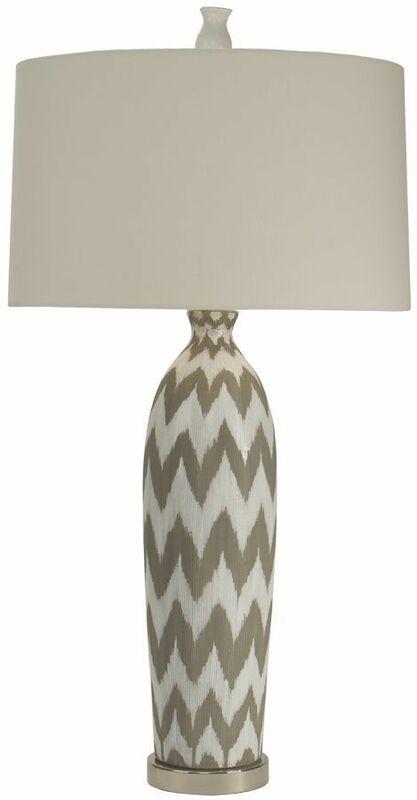 According to Harvey, lamps should tell a story, with color being one big story trending at market. The Natural Light began their business with innovative color options for not only their lamps, but also their lampshades. No one else on the market had been creatively offering such innovative options. But, color being the big trend is no surprise to Harvey as he pointed out to me what is happening in the fashion industry–lots of color! 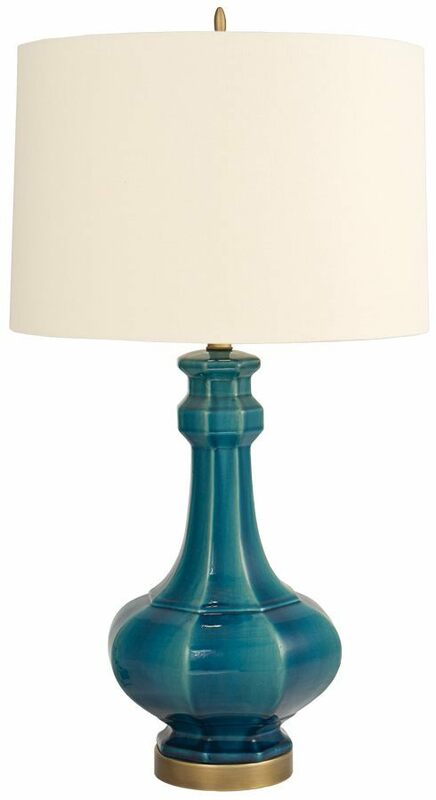 Love the pop of color in this lamp. Harvey and I both think that color is also an indicator of the temperature or attitude of consumers. When the colors are lighter, fresher, and “happier,” the indication is a positive mindset of the consumer willing to spend again. If, however, the colors become darker and more saturated, the opposite consumer mindset can prevail, such as pulling back and not spending. I have witnessed this over many decades of ups and downs in the industry; design can indeed tell us the pulse of our country’s beliefs. 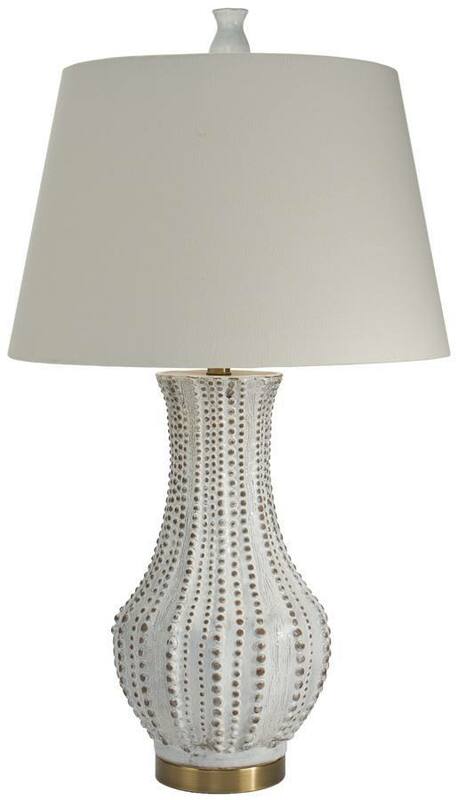 Another “part of the story” that his lamps tell is the return to transitional design. An example: we’re seeing the staying power of brass, which one can also see on his lamp collections for this market and the year ahead. He also notes that watching trends in the high-end jewelry lines tells what metal finish will also follow in the home accessory and furniture industry. The biggest main story this market appears to be all about the metal. The Natural Light metal finishes are done in layered steps, bringing a new dimension to metal finishes that are richer and more interesting. These photos are an example of the fine detail work that this company is known to produce season after season. 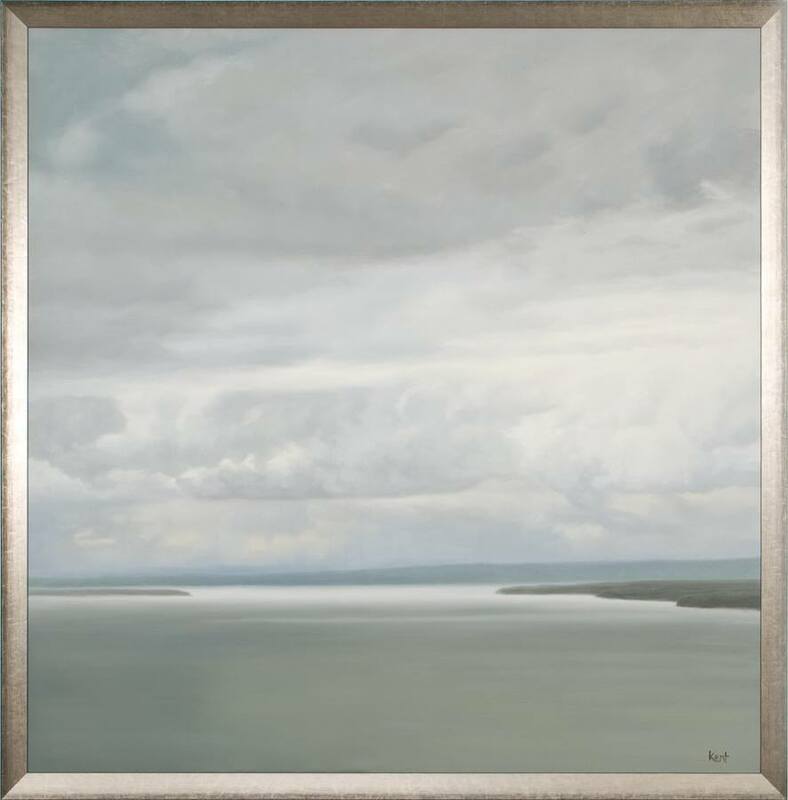 Another big highlight in their fabulous new showroom is the larger space that allows them to show their vast and truly one-of-a-kind original art. 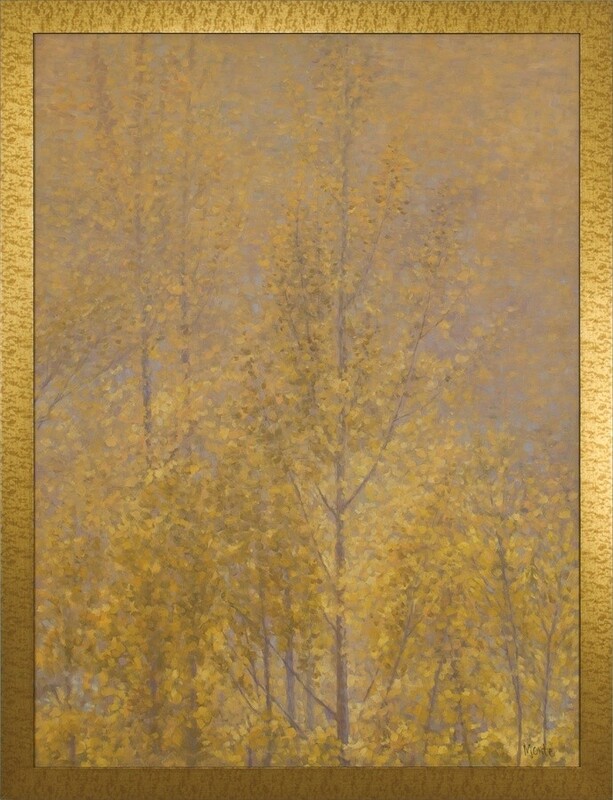 All their artists are shown only with The Natural Light so these beautiful artworks will not be seen anywhere else. They do have prints that are not exclusive, which of course makes them more affordable to more consumers. They try to keep up a current listing online of all their artwork as of course, original artwork is typically here today gone tomorrow! Harvey did say that similar work can be available if a certain look or image is desired. It has been such a pleasure for me to observe Harvey and Joann Hollingsworth’s great success story. Harvey, as he says, is a good ol’ Kansas boy. Living in Kansas now, I love this fact about him. Today, this Kansas boy is a definite leader in our industry, reigning from Florida and giving all of us the best of the best year after year. From The Natural Light: It is the philosophy of The Natural Light that one cannot improve on nature. Preserving the integrity of nature’s bounty is a tradition by which The Natural Light is best known. The company designs and manufactures portable lighting in wicker, wood, bamboo, hand-thrown pottery and various metals. There is a clear emphasis on original finishing techniques that has carved a unique niche for this family-owned business. For more on The Natural Light, visit their website here: www.thenaturallight.com. What is a good night’s sleep worth to you? Millions of Americans are either on sleep medication, have sleep issues, wake up with stiffness, or wake up like they never actually went to bed at all. And without a good night’s sleep, our quality of life is basically on a slow speed until we finally do receive that good night’s sleep. Of course, stress, lifestyle habits, life stages, noise, etc. play a part in sleep deprivation. But even when those factors are not an issue, millions still struggle with waking up feeling like they cannot get their day started with any energy or feeling ready to start their days. This is why I was so interested in a new sleep mattress and pillow technology called Technogel®. I have learned that this gel technology, unlike the foam technology in many of our popular mattresses today, can give us a far superior good night’s sleep. One basic reason (coming from my limited technological and science background) is that gel can be dispersed in four directions, meaning both ways horizontally and vertically. Foam, on the other hand, can only move vertically. This is a huge factor in why the gel mattress can support our body weight in new dimensions. The essentials of a good restorative night’s rest is having a mattress that relaxes muscles, supports the spine and provides comfort. Gel sleep technology increases our potential for all three essentials for the much-needed rejuvenation we all need in this crazy, busy world we all live in today. Did you know that the average person turns over 18 times a night? 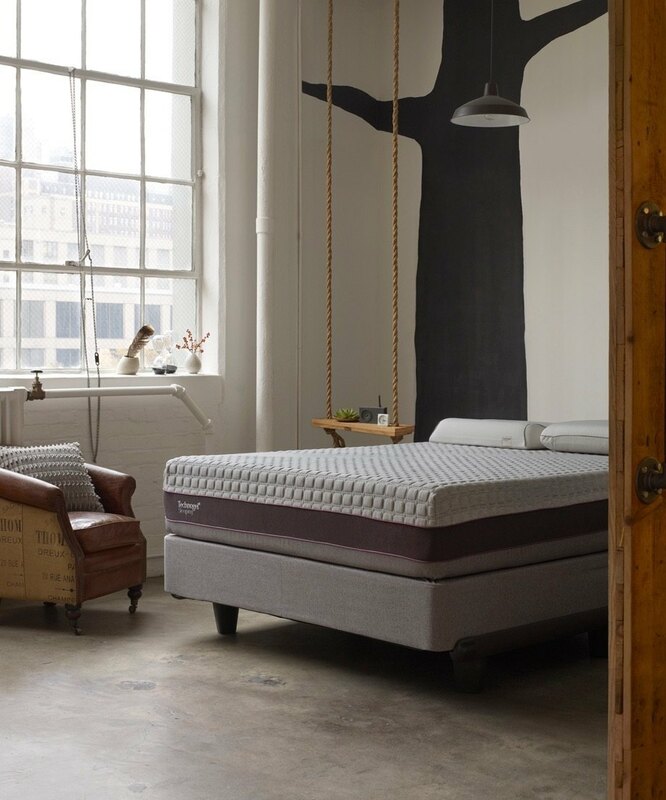 Does your mattress have the resiliency to reposition and respond to your body weight all night long? Gel technology, according to major sleep studies, appears to accomplish this stableness as we toss and turn, because gel does not only go up and down vertically. As I tested out the beds in the showroom, this was so evident and delightfully comfortable! 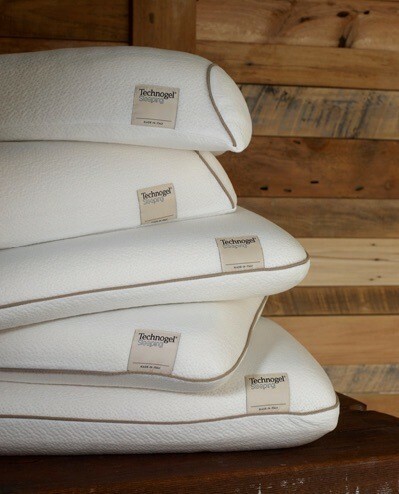 I can’t wait to try out these Technogel® pillows! Did you also know that 20 percent of our sleep quality is determined by pillows? I must say, I know this is true for me after waking up many times with a stiff neck after trying every kind of pillow, from those advertised on TV, the high-end pillows in sleep stores, or even bamboo. I will soon be to be trying a Technogel® pillow and will report back to you on this one. Is Your Bathroom Ready for All Ages and Stages? Do you know what it takes to create a barrier-free, BoomerSmarts® bathroom for any stage or any age? Learn the critical elements of an aging-in-place bathroom that doesn’t look like it’s from an assisted living facility, but rather from a Healthy Home. Check out the video below to begin your tour. Next Sunday, be sure to come back for a new video in the “Healthy Homes” series that will highlight the features of an ergonomic kitchen. In the meantime, don’t forget to explore the rest of my website for more posts, or to sign up for my online CEU classes. To stay updated on what’s hot, what’s new and what’s BoomerSmarts®, please like/follow my social media site, listed below. Today, who is unexpectedly moving into the 55 million (and counting) multi-generational homes in the United States? It’s surprisingly not just the elderly, but also the millennials, Generations Xers, and Boomers that make up this growing demographic. In the following video, find out some basic BoomerSmarts® tips that are important for those of all ages to live in happy, healthy homes. Next Sunday, look for a new “Healthy Homes” video that will highlight the features of a barrier-free bathroom for all ages. Also, in the meantime, don’t forget to explore the rest of my website for additional posts, sign up links to my online CEU courses, and to stay up to date on what’s hot, new and BoomerSmarts®. Did you know that it’s not just WHAT you cook in your kitchen, it’s also HOW you cook that makes your home a healthy one? If your kitchen is breaking your back, neck and arms, you’ll definitely benefit from today’s new “Healthy Homes” video! Discover how a well-designed, ergonomic kitchen can create a healthy, BoomerSmarts® home in today’s video, posted below. You’ll get some inside tips on proper oven placement, and also learn why it’s important to separate the “business” side of the kitchen from the “entertainment” side. Enjoy! Be sure to come back next Sunday for another new “Healthy Homes” video that will show what it takes to create an inviting living area for multiple generations. For other BoomerSmarts® tips, tricks and wisdom, please like/follow my social media sites.